One of my favorite memories growing up was walking into the kitchen of my dad’s drug store and watching Margaret make homemade hot fudge. Everything back then was made from scratch and hot fudge was no exception. 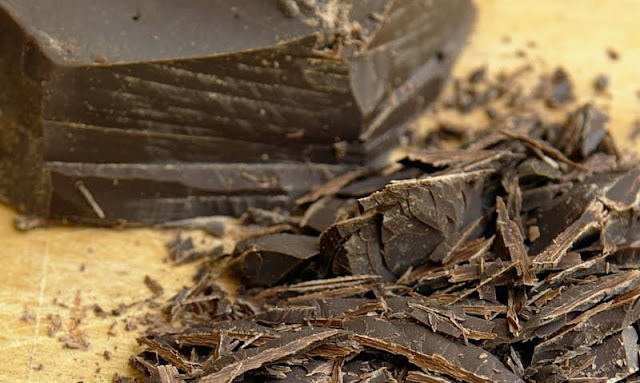 Imagine, dark chocolate slowly chipped off the huge block...simply to die for! Oft times, she would let me do it for her. I love it because I would chip off a little extra for my sister Mary and I. Hot fudge is a perfect Valentine’s Day treat. Hey, it’s Valentine’s Day – you’re allowed to cheat! Melt in a double boiler over medium-low heat. Stir for about 5 minutes.